Here’s a challenge: can you remember the best musical nominees at this year’s Olivier awards? What about those nominees a year earlier in the 2017 best play category? In both cases, the two shows likely to stand out in your memory are the respective winners: Hamilton, and Harry Potter and the Cursed Child. It is just two months since the most recent edition of the Olivier awards and I found myself struggling to remember all the nominees in these prestigious categories. Maybe it was ever thus. It takes something truly special for a show to stick in the memory even if it does walk away with a clutch of awards on the big night. This Sunday at the Tony awards, The Band’s Visit is a strong contender to win best musical, but it lacks the profile and buzz of recent past winners such as the all-conquering Hamilton or Dear Evan Hansen. It opened in a lightweight year for musical nominees where there is not one show stealing the limelight. But even if it does win, I am sceptical that it will be taking up a lengthy Broadway residency. In contrast, all the attention has been on Harry Potter and the Cursed Child, nominated in 10 categories including best new play. So focused has the press been upon the show, that it is easy to forget anyone else is involved in the awards race. I believe Hamilton, and Harry Potter and the Cursed Child will be the two shows which define this generation of commercial theatregoers in the same way as The Phantom of the Opera did in the 1980s, Lion King in the mid-1990s, and more recently The Book of Mormon. These are shows which become etched in audiences’ minds on both sides of the Atlantic, carving out such a position that it seems impossible to remember a time before the lights of their titles weren’t winking from a marquee. You could argue that’s either a good or a bad thing for the theatre industry. On the one hand, the venue gets a welcome economic boost and a lot of new theatregoers experiencing the magic and stagecraft of these productions. However, on the other hand, a prime theatre is clogged up for years, possibly decades, with just one production, reducing the opportunity for more works to be staged in such prominent positions. Any landlord will rightly welcome a long-running tenant. In truth, however, neither Broadway nor the West End were created for decades-long runs of productions which – with the exception of The Mousetrap – predominately began as an 1980s’ phenomenon. Let’s not forget, even America’s golden age of musicals saw Broadway runs of 732 performances for West Side Story and 2,212 for Oklahoma. Phantom has run for more than 12,000 performances in London alone. The definition of “hit” has unhelpfully changed. Once it was about a show recouping and turning a profit, now it’s as much about running for a decade or more. The resulting status that this brings therefore means that in the US, Phantom, Broadway’s longest-running musical, will never close for as long as The Lion King is running just down the road ready to usurp its crown. Today we are in a new era of shows. 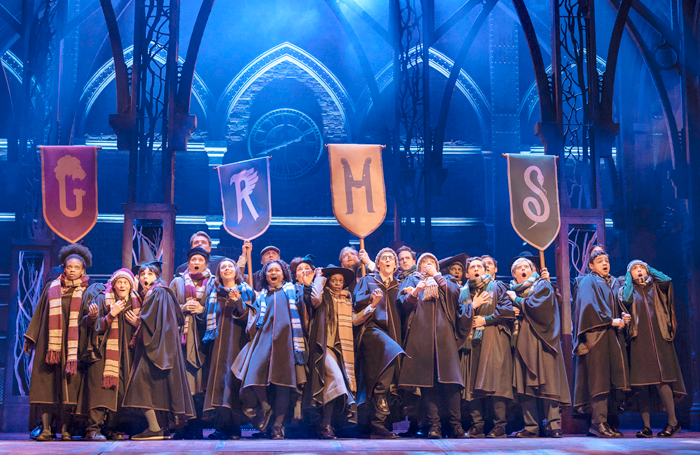 Works such as Hamilton, and Harry Potter and the Cursed Child have pushed the term ‘mega-hit’ to another level – as the grossly inflated secondary ticket market and public awareness of them demonstrates. Occasionally, a season can still throw up an unexpected winner. In 2014, Several of Broadway’s anticipated big-hitters flopped, clearing the nomination ballot and leaving an underdog, A Gentlemen’s Guide to Love and Murder, to emerge as the winner. Despite that success, it’s not a show which sticks in the memory among the list of other recent entrants into the Tony’s best musical winners club. To date, it has still received no West End transfer. In the past few years, there has been something of a resurgence for the blockbuster so prevalent in the ‘80s to mid-1990s. And many have translated box office gold into awards success. However, they’ve arguably also made the awards more predictable. One show dominating the nominations may be a real achievement, but it can lead to coverage fatigue, and a feeling that the winners already been decided. When the winner on theatre’s biggest night of the year has, rightly or wrongly, been made to feel such a certainty, is there reduced excitement as a result? Does the public take less interest in the other shows nominated? Or do enthusiasts skip watching the awards all together, believing they already know who’s won? Such single-focus placed upon one or two shows could make the rest of a season feel less dynamic or, at worse, non-essential. After any win, must come sustainability. The making of the mega-hit is not simply about the work itself but how that work remains popular and achieves longevity, and ultimately it takes more than a glitzy statuette to do that.